This bib is great for my 8 month old. He's been teething and very drooly. 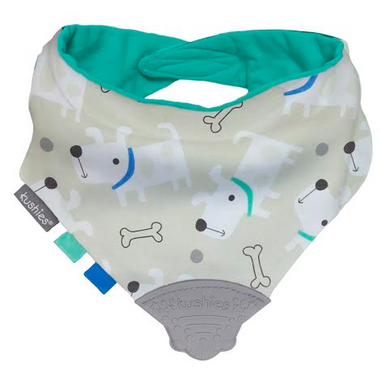 This dual purpose bib catches his spit and gives him something to chew on. I don't have to worry about him dropping his teether since it's attached to his bib. 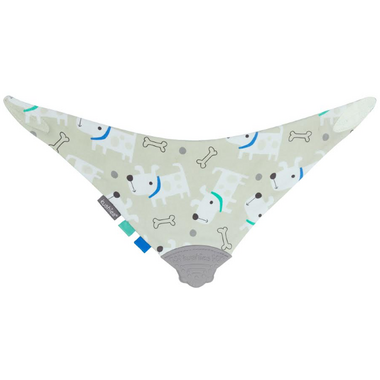 The print is super cute and the cloth portion is soft against his sensitive skin. It's easy to wash since you can just throw it in with your usual laundry.